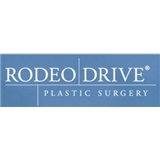 Rodeo Drive Plastic Surgery (Beverly Hills) - Book Appointment Online! Welcome! Considering plastic surgery in Beverly Hills, California? At Rodeo Drive Plastic Surgery, our goal is to provide you with exceptional surgical care – safely, professionally, and at a reasonable price. We built our offices and surgery center on Rodeo Drive – the world capital of fashion and style – because this exclusive street represents the highest standards in taste and service. Rodeo Drive Plastic Surgery brings these same standards to your plastic surgery care. Our staff works to provide the best possible surgical outcomes in a setting that embodies the standards and lifestyle you seek. This means attention to your individual needs before, during and after surgery. We offer unique approached to breast reduction surgery, umbilical hernia repair, breast implant revision, capsulectomy, septoplasty and other reconstructive procedures. Kind. Considerate. Effective. Very nice bedside manner. Was very conscious of explaining my solutions and providing viable options.